In 1144, the mutilated body of William of Norwich, a young apprentice leatherworker, was found abandoned outside the city's walls. The boy bore disturbing signs of torture, and a story spread that it was a ritual murder, performed by Jews in imitation of the Crucifixion as a mockery of Christianity. 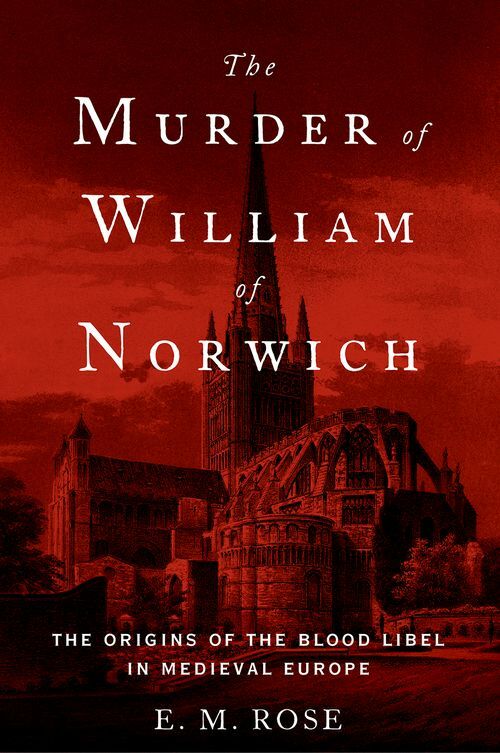 The outline of William's tale eventually gained currency far beyond Norwich, and the idea that Jews engaged in ritual murder became firmly rooted in the European imagination. E.M. Rose's engaging book delves into the story of William's murder and the notorious trial that followed to uncover the origin of the ritual murder accusation - known as the "blood libel" - in western Europe in the Middle Ages. Focusing on the specific historical context - 12th-century ecclesiastical politics, the position of Jews in England, the Second Crusade, and the cult of saints - and suspensefully unraveling the facts of the case, Rose makes a powerful argument for why the Norwich Jews (and particularly one Jewish banker) were accused of killing the youth, and how the malevolent blood libel accusation managed to take hold. She also considers four "copycat" cases, in which Jews were similarly blamed for the death of young Christians, and traces the adaptations of the story over time. In the centuries after its appearance, the ritual murder accusation provoked instances of torture, death and expulsion of thousands of Jews and the extermination of hundreds of communities. Although no charge of ritual murder has withstood historical scrutiny, the concept of the blood libel is so emotionally charged and deeply rooted in cultural memory that it endures even today. Rose's groundbreaking work, driven by fascinating characters, a gripping narrative, and impressive scholarship, provides clear answers as to why the blood libel emerged when it did and how it was able to gain such widespread acceptance, laying the foundations for enduring antisemitic myths that continue to present.